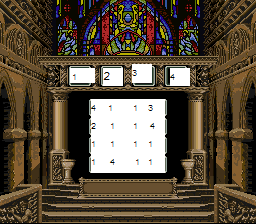 In the not-too-distant past, to save progress in some of your games, you'd be given a password of some kind. 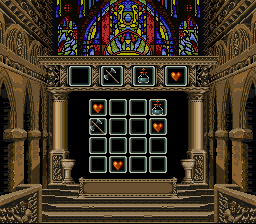 Which was usually fine until you get something like this one from Super Castlevania IV. Now, what're you supposed to do with that? Draw a little 4x4 grid and draw symbols in each of the squares? Write out the words "heart, space, space, holy water", etc.? Which is much easier to write down, much easier to type, and much harder to screw up. It's a win-win...win.